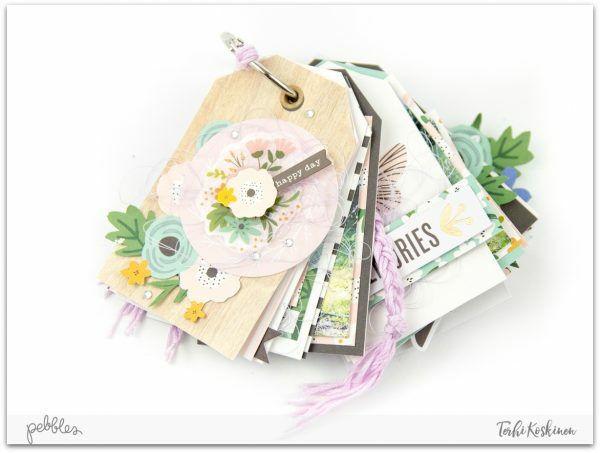 Quick and Easy Mini Book with Terhi - Pebbles, Inc.
Hello sweet friends! Terhi Koskinen here again sharing colorful ‘Along the Way’ inspiration to your day! I have created super simple, but yet quite detailed mini book to capture our summer memories. 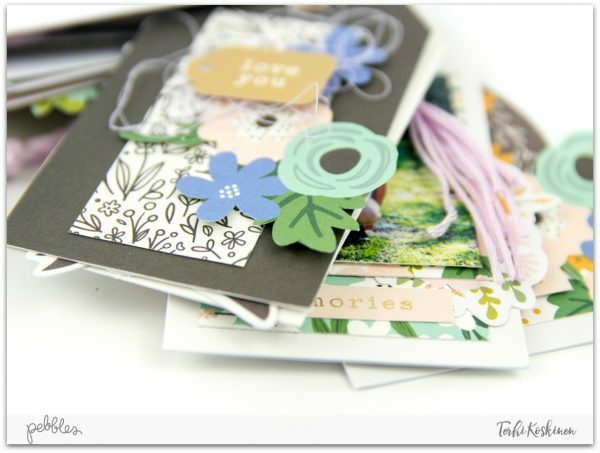 The mini book is very easy to create, so you can just follow next steps and create yours too! 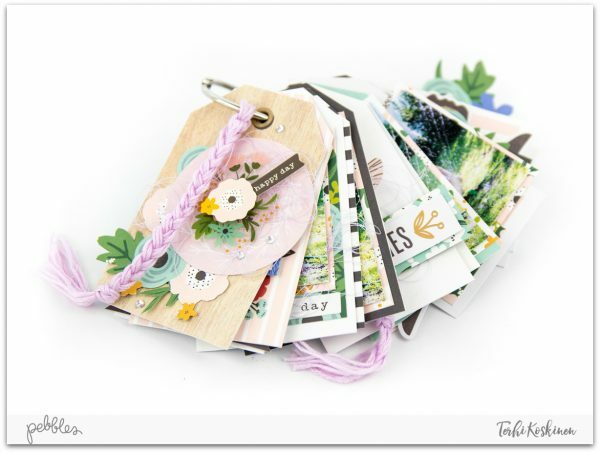 Step 1: There are couple ways to collect tags to create the pages for the mini book. 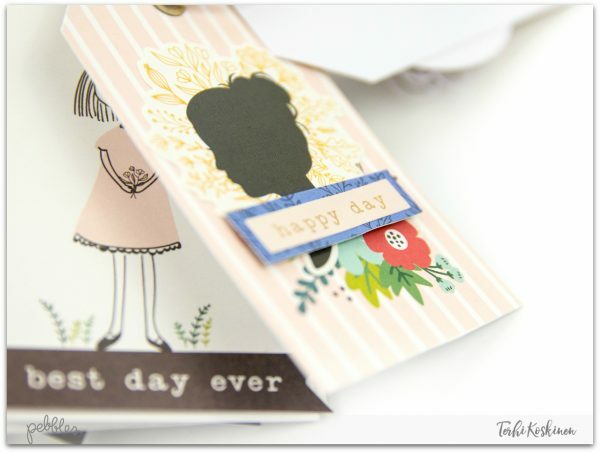 You can either use the Along the Way Cardstock Tags or patterned paper ‘For My Friend’ from the same line. If you use the paper, back them with white yardstick to make them stronger. 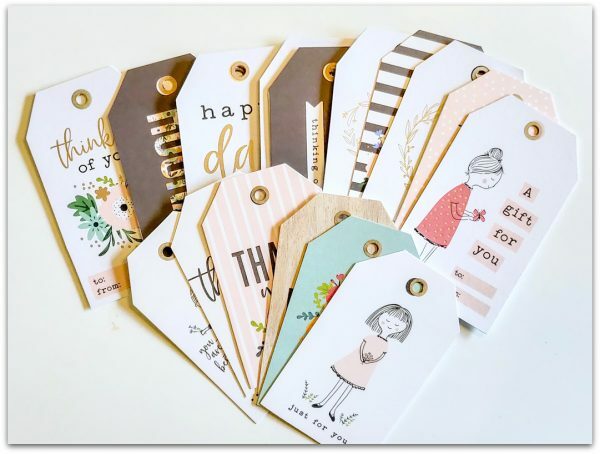 I used both tags and cut the Along the Way Cardstock Tags slightly shorter to match the patterned paper ones. 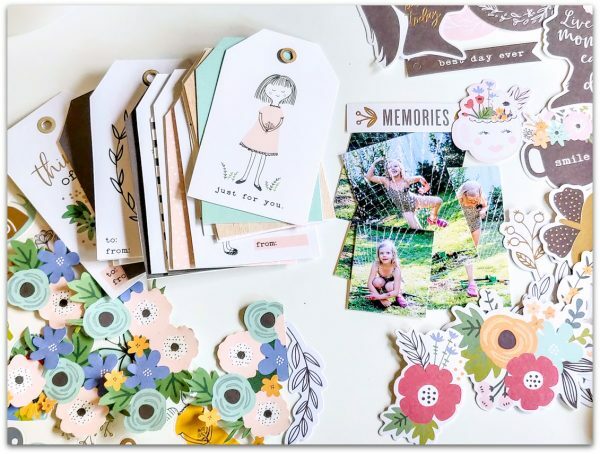 Step 2: Cut your favorite flowers from Along the Way patterned paper ‘Flower Market’ and choose the photographs you want to use. At this point I had about twenty tags ready to go, but in the end they all didn’t make it to the book as otherwise the book would have been way too thick. 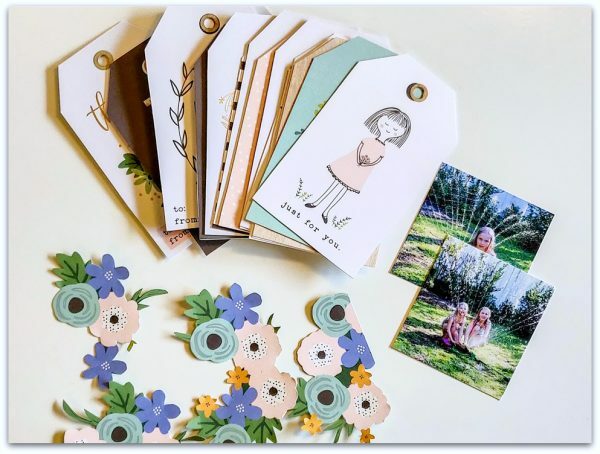 Step 3: Collect also your favorite ephemera from this gorgeous line. Then simply attach photos to some tags, and ephemera to others. 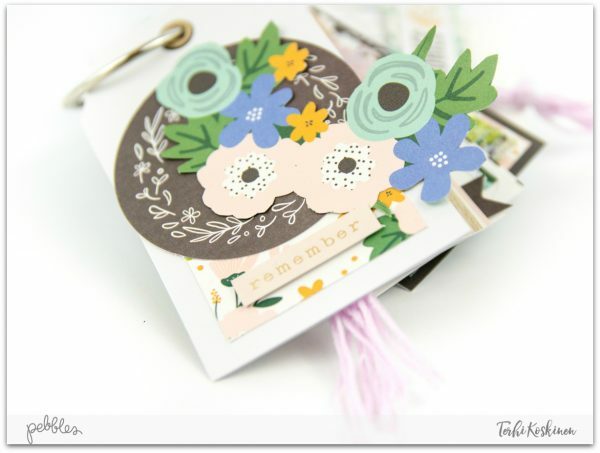 Add also at least one fussy cut flower to each page, as this makes the mini book look completed. To the cover I also attached one of the sweet Along the Way Layered Stickers. Next you will see some of the pages from inside, and other details. Last detail to make the mini book look as I wanted, I braided some thread and hang it to the metal ring which holds the book together. It’s a small thing to do, but makes such big difference. Hope you like mini books as much as I! Grab your tags and start playing!